A few weeks ago my family had a discussion about our goals after dinner. So I grabbed a pad and pen and we each made a list of our goals for 2017. I’m not going to restate them here, but while enjoying my cup of coffee at the same table today, I was reflecting on them. I remember being very impressed with my son because his goals were so simple but were things that I have been speaking to him about. That let’s me know that he listens and it’s a reminder of the importance of being intentional – in parenting for sure- but also as I go about my day. Im often thinking of my cart before my horse. I’m often planning in my dreams and not focusing on the day to day nuts and bolts…the steps to get to the places that I want to be. Dont get me wrong, I have accomplished quite a bit and I’m moving in the direction that I want. 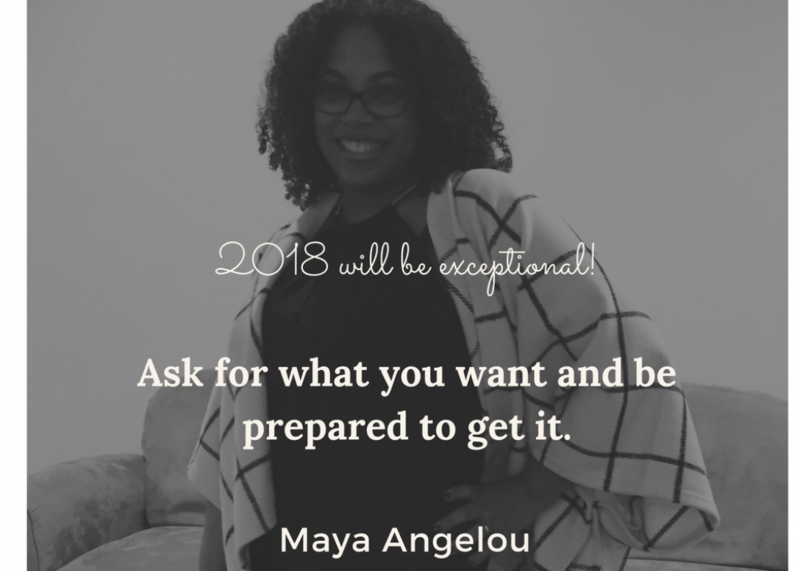 But every year, I reflect on things in preparation for the new year. I’m always thankful for my blessings, my family and friendships. But, the older I get, I find that my desires and end of the year thoughts and plans are eerily similar to previous years. While that reassures me that I’m on the right track and that I’m in tune to my passion, it is a reminder that I have let a few years go by still doing the building and planning in my head while not always building those things in reality. I don’t have any New Years resolutions. I do have a few new short term goals. I want my family to write our goals down every year, or every six months. And more than ever, I want to check some things off my list. I enjoyed reading your post. You wrote “But, the older I get, I find that my desires and end of the year thoughts and plans are eerily similar to previous years. While that reassures me that I’m on the right track and that I’m in tune to my passion, it is a reminder that I have let a few years go by still doing the building and planning in my head while not always building those things in reality.” Your comments resonated with me like you were reading my mail. Do you think that thought exist because we may be consumed with others accomplishing their goals and not so much our own? I just got that for myself perhaps you may consider some value in that. In 2017 I am ready to move on. Best of Blessings to You and Your Family. I appreciate your comment. I think that what’s going on is that I’m not actually creating my dreams. I keep returning to them but not being intentional about them. Here’s to hoping that we both keep walking closer and closer to making our dreams reality. Blessings to you and yours as well! Hey Momma Peach, how did your NaNoWriMo turn out last Fall? Did you make it to the finish line? LOL I bowed in the first week when I somehow started including details for a character for a totally different project. Thrown right off the rails. And really my life is sadly just not conducive to writing a novel, especially in that compressed period of time. Slow and steady is how we do LOL.